Misool Island is one of the beautiful islands in Indonesia which is the Best Dive Sites In The World that you must visit and enjoy its beauty. 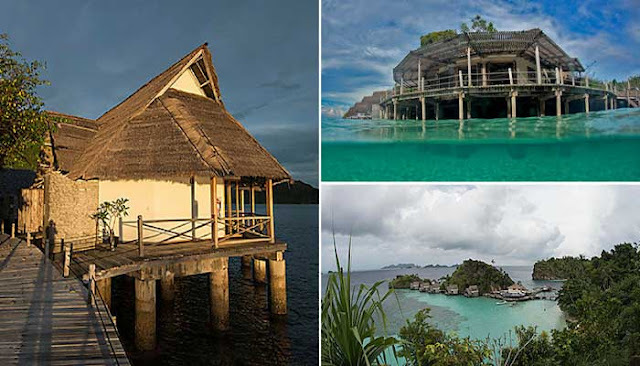 The island is located in the area of the Raja Ampat Islands, West Papua Province, Indonesia or about 4 hours by motorboat from the city of Sorong presents underwater scenery like a heaven of the world, beautiful and very amazing. As the best dive sites in Indonesia, Here you will find the perfect place for diving with quality diving that is consistent with the best resorts located on the Coral Triangle which is one of the Most Healthy Reefs with the most complete biodiversity on the planet. Very diverse, abundant with vibrant colors from the amazing local soft corals. 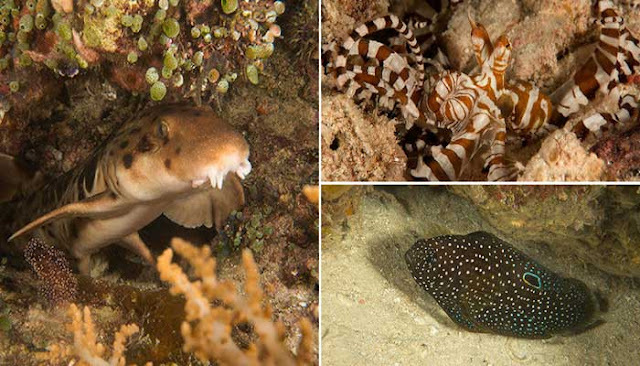 Furthermore, in Misool diving, you will be served with various types of endless marine life. As the best dive sites in the world and best diving in Indonesia, Misool Island is equipped with the best resorts to make diving easier. Here you will be greeted kindly with the best service from Misool Eco Resort. The whole building on the island has been tastefully designed for your comforts to blend in with a clean environment. This elegant resort accommodation includes eight spacious and luxurious water cottages and four slightly larger villas. All built on stilts over a lagoon north of Misool Island. While the south side of the beach stands five additional villas that you can take on foot or boat ride. 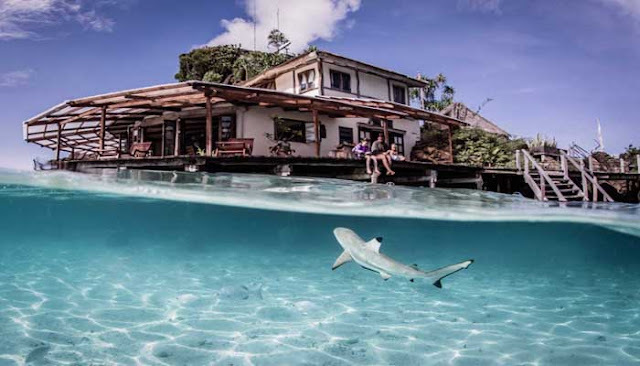 While the restaurant and diving center is in the northern lagoon. The restaurant serves a large selection of Asian and European cuisines that are both delicious and artful. The comfortable lounge is often used for informative evening presentations, and the world-class spacious camera room combined with the Dive Center. As a place of scuba diving in Indonesia, you will be greeted with beautiful and wonderful Coral Reefs laden with a variety of interesting marine life such as Big Grouper Fish, Flasher Rock, Mandarinfish, Wonderpus and also Blue Ring Octopus, Frilled Sharks and many more. 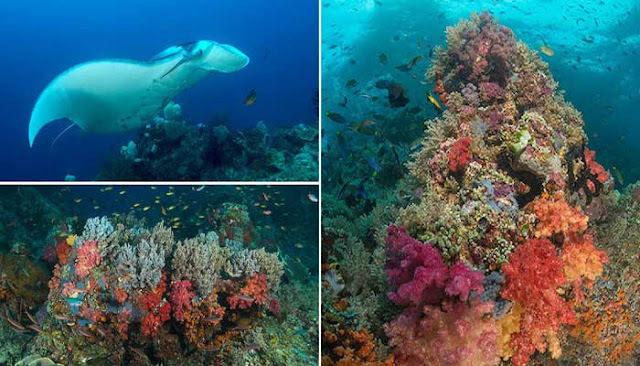 The best Indonesia diving spots in the Magic Mountain are located near Warakaket Island which is about 15 minutes by boat from Misool Eco Resort. In this place, you can find manta rays and oceanic rays. 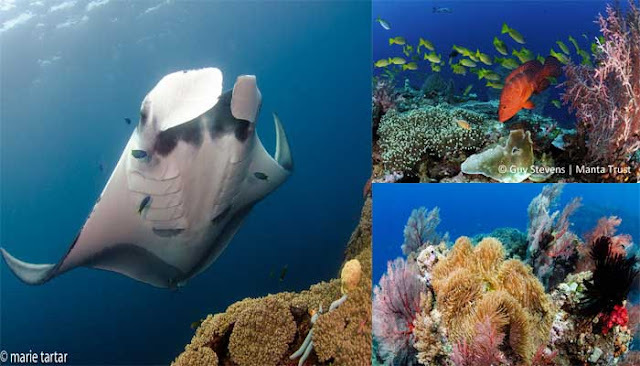 In addition, Magic Mountain has beautiful soft corals, snappers, trevally, crawling white tip reef and gray coral sharks, turtles, frilled wobbegongs and Raja Ampat sharks and any other marine biota that can swim. You will not know exactly what you will face in this spot. No two dives in the same Magic Mountain, all full of great action. On the sidelines of the dive, Misool Island serves as a warm and friendly home base. The staff members are very friendly and very helpful to you as long as you are in the Best Scuba Diving in Indonesia. You will be treated like your own family. We hope that you visit Misool Island, The Best Dive Sites In The World next year.